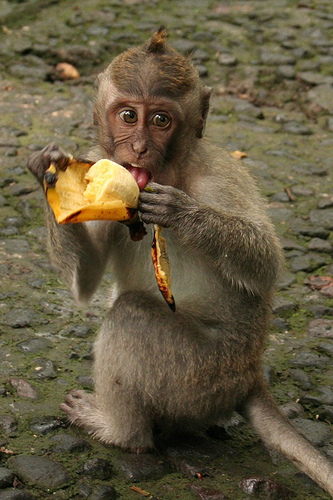 Imagine a monkey with a bunch of bananas. Now imagine a monkey with a bunch of bananas trying to defend them from another monkey. I’m sure he would put the bananas behind him and keep his eyes on the other monkey trying to steal his bananas. Well now imagine a monkey with a bunch of bananas and some other monkey friends helping him to try to defend the bananas from another monkey. The first monkey has his eyes on the monkey trying to steal the bananas, but who is watching the monkey friends? This is the problem with IT network security. I saw an article today written about a security survey provided by Bit9. You can read the story here. There were a lot of interesting numbers in the survey that stuck out to me. Most interesting to me? Nearly 2/3rds of IT security professionals worldwide think Anonymous or another hacktivist group will attack them in the next 6 months, but only 1/3rd of the same people feel an employee is a likely threat. It seems to me we are watching the wrong monkeys. Not that we can ignore the “professional hacker”, of course we have to secure the network. Firewalls, NAC, VPNs, all play a part, but later in the article it is reported that only 11% of the security professionals worry about the common attack methods used by hactivist groups. The biggest fear of attack by 62% of the IT security professionals surveyed is targeted attacks. Targeted attacks are things like malware and Phishing attacks. So unless an IT department is installing Malware, it seems to me that this is being loaded by the end user. So while watching the monkey trying to steal our bananas, and trying to keep our company off the evening news, we let the other monkeys steal our bananas, and put our company on the evening news. Ford Motor Company used to have a motto in the 80s, “Quality is job one”. Today all companies should have the motto, “Security is job one”. Security is everyone’s job, not just the security division of the IT department. What do you secure? The PCs? The servers? Hardware? Software? I say the data. We live in a world of always on, always connected, always working. So however we access the data, wherever we access the data, whoever accesses the data, we have to secure the data. Everyone has the secure the data, from the CEO to the janitorial staff. More sensitive data is viewed inappropriately because of passwords on sticky notes or non-shredded business documents than hactivist attacks. 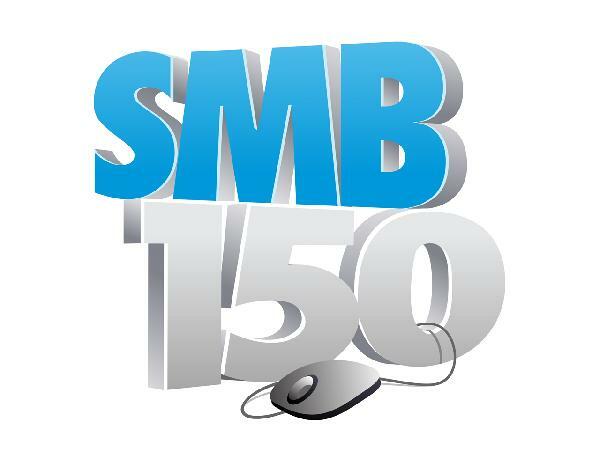 The SMB 150 is produced by SMB Technology Network (SMBTN) and SMB Nation and brought to you by BlackBerry. 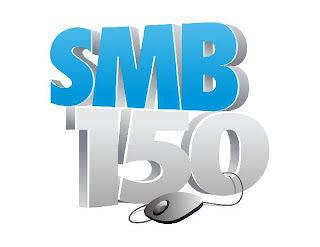 The SMB 150 honors individuals who have made a significant impact on the worldwide small and medium business (SMB) channel. A three-part process determined this year's list of SMB 150 influencers. The competition began with an open nominating process, followed by the SMB IT community voting on the nominees at www.smb150.com. In addition to the community vote, a panel of industry experts judged each nominee based on a variety of relevant areas. The community vote accounted for 40% of each nominee's overall rating, with the expert panel's decision contributing the remaining 60%. I am excited to tell you that I have been selected for this honor this year. You can find the entire list here. As you look through the list, you can see why I am so excited to be included on any list with these superstars, but really excited to be considered one of the 150 most influential people in the SMB channel worldwide with them. What does this mean? To me it means my peers think I make a difference by helping people run their businesses in the SMB space. That is huge. Gaining the trust of vendors, partners, and users in an industry is humbling, and empowering. I hope I am able to reach and assist more people in adding to their business with my inclusion with this elite group. A big Thank You to all who nominated and voted for me, as well as the panel for their endorsement. And no, I’m not moving to Hollywood now. I’ll still be here, writing my blog, helping the SMB community. Most of you who read my blog know I have a 3 month old puppy, Ben. His blog is here. 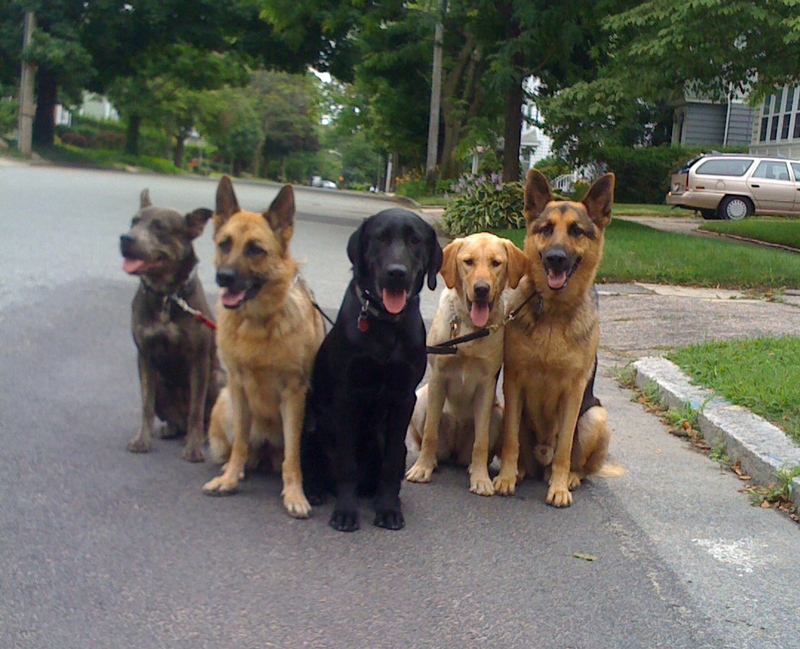 Both my wife Janet and I have had dogs, and I have taken dogs through group obedience classes before. I watch Cesar. I knew the basics, I thought. I may have been able to take Ben to 50% of what he could be, but I doubt he would have been that responsive to everyone, even me all the time. Ben deserves better than 50%. Don’t all dogs? I mean we brought them into our homes out of their natural order, we should at least make their lives with their human pack as “natural” as possible. That means we need to be strong leaders and 50% isn’t good enough. The same is true of your business. Not everyone is a strong business pack leader. So if you find yourself in this position, what can you do? One, you can get training, and there are lots of good trainers out there. Two, you can hire a strong pack leader. Most small business people opt to do nothing. Thereby relegating their business to less than it could be. Some will bring on a partner to help run the business, but very few and generally only if they are against the wall. Let’s talk about getting a coach to help train you and your staff. So once you find a trainer, however you find them, and that is another blog for another day. Once you have a trainer, they will need to train different people. Your staff, yourself, and maybe your investors. Much like training a dog, your trainer can teach your staff new tricks, but if you don’t support and reinforce their training, they will start jumping on people and messing in the house. Almost without exception, if you show me a dog misbehaving, I’ll show you an owner who didn’t follow through with their training. As a dog owner, I have some bad habits I have “picked up” over the years. The worse is inconsistency. So our dog trainer not only has to train the dog, he has to break my bad habits as well so we are training the dog in a consistent manor. As a business owner, I’m sure you also have some “bad habits”. If you don’t correct them, it doesn't matter what else the trainer does. If you are not committed to learning new tricks that YOU have you do, save your money and don’t pay for a trainer. Both the dog and owner need training, and the same is true for businesses. Staff and Owner. Instagram was bought by Facebook for 1 Billion dollars. A 2 year old company with 12 employees. What is it that Facebook was buying? Users? Market? Technology? Whatever the reason, it cost about $37 dollars a user. That number seems both a lot and a little at the same time to me. It is a lot of money per user when Facebook is buying 27 million of them at the same time, especially when many of them are already Facebook users, so the cost per unique or new user may be much higher than the $37 dollar number. It is a little amount when you look at a customer by customer basis. Would you pay $37 dollars to gain a new client? Most companies’ acquisition cost for a new lead or prospect are much higher than this. Do you know or track your cost to acquire new customers? You really should, but you knew that. Facebook thinks it can sell more in advertising than the $37 dollars per user. I would say that is a fair bet. In addition, it isn’t like those billion dollars was generating a lot of interest sitting in the bank with this economy. It is an investment. A land grab advertising investment. Am I shocked a 2 year old company can be worth a billion dollars? Absolutely. Do I think this is the end of the big deals? Absolutely not. But I do understand that the way to make money in this industry has changed and a everyone who wants to stay out front needs to understand this. No one likes second place. That means we really don’t like third place, or worse. Welcome to Yahoo. Yahoo’s third CEO, Scott Thompson, has started layoffs to around 2000 people or 14% of their staff. Thompson said in a memo on Wednesday, “"The changes we're announcing today will put our customers first, allow us to move fast, and to get stuff done,". Most, like me, aren’t buying it. More on the layoffs here. I’m not buying it, because rarely can you do more with less, especially when you have to maintain current operations and reinvent yourself at the same time. I think the biggest issue is lack of vision. Look around, how many internet portal companies do you still see that matter in your daily life? So when we don’t know what we are going to be when we grow up, we don’t. We get lost. Yahoo has tried to fix that, with new CEOs. Each with a new vision, each with a new dabble. A dabble is not a vision. Multiple dabbles just get ugly. Yahoo Dabba Do! Next stop Bedrock, all the way at rock bottom. There is a place and a strategy for web portal like companies. Being a good consolidator and aggregator of information with easy links to what I need. Pull feeds from other social sites into my news portal, these things I will use. There are not cuts to the top, so the only reason I see for cuts is to maximize profits, not maximize success. I must have said that phrase to the sales people working with me a thousand times. Words like “Synchronize”, “Cloud”, “Real-time”, and “Unlimited”. These words have a dictionary definition as well as common usage. It is important to define the techno babble words you use with your prospects and clients so they understand what you mean. If you say to your clients, “you get unlimited data.” When you mean, you get a lot of data until you are in the top 5% of data users in your area, they may disagree with you. They may even feel you have violated your contract with them and they may even sue you. Just ask AT&T. Story here. So the point of my blog today is not to slam AT&T. I am an AT&T customer and I’m generally happy with their service. My point is to show how words have meanings that can get you in trouble keeping a happy client. If you say you get unlimited data, but that isn’t “technically” what you mean, stop. Explain until they understand. If your prospects can’t understand you, it is hard for them to buy from you, and even harder to not blame you if there is an issue.